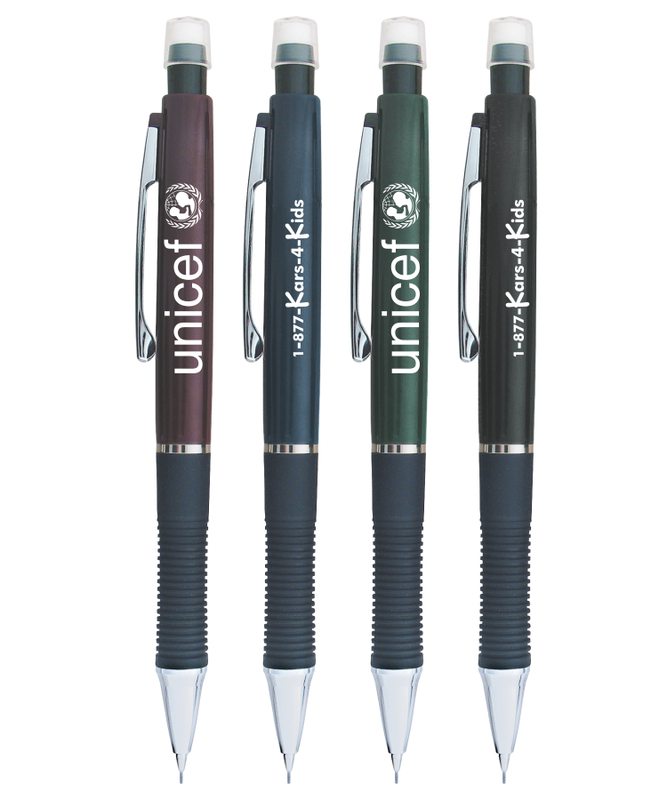 Union printed Deluxe Mechanical Pencil with black lined design rubber grip with silver findings. comes with 0.7mm lead. Features a white eraser on top pencil for quick and easy corrections. A perfect giveaway low cost promotion, never a need to shop for closeouts. Available in single or assorted colors. Union Bug Available at No Charge! • Imprint Area: 1.75" x .5"